In a column by Devra First in the Boston Globe published last month, First wrote that the name was “not cute"
The famous Milk Bar "Crack Pie" shall henceforth be known as "Milk Bar Pie," after the name of the pie was slammed in a column published by the "Boston Globe." In a letter published on the Milk Bar website Monday, pastry chef Christina Tosi announced that her company had changed the name of the pie. The change comes after a long controversy about the allusion to the addictive nature of crack cocaine -- and the resulting epidemic in the 80s and 90s that heavily affected black communities. 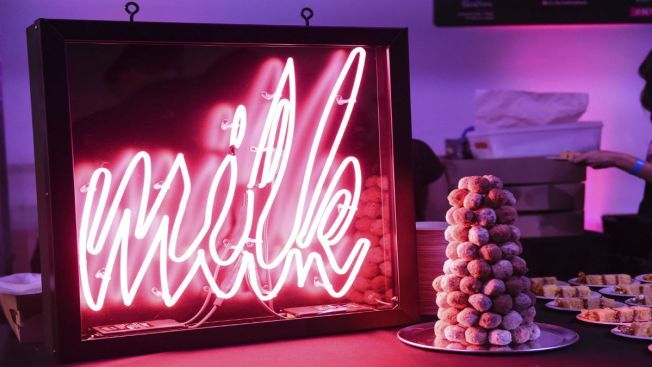 Now a hugely popular dessert chain, Milk Bar was founded by Tosi while she was working at Momofuku, a famous New York restaurant owned by chef and restaurateur David Chang. Since launching in 2008, Milk Bar now has multiple outlets in New York, Los Angeles, Washington D.C., Boston, Las Vegas and Toronto.